November 6th is just seven weeks away, and you know what that means: it will be time to VOTE. Our elected officials at all levels of government have opportunities to influence the future of our outdoors: from land and water protection, to the quality of the air we breathe, to the recreational resources we use and love. Amid the bustle of fall, please take some time to learn about candidates’ positions, and ask for their commitment to support the outdoors. Our healthy outdoor future depends on it! Looking for an excuse for some outdoor fun in Maine this fall? The AMC and partners are hosting the Great Maine Outdoor Weekend that includes a series of free or low-cost, introductory level outdoor events happening all across the state on September 28, 29, and 30. This is a great opportunity to have fun with a new organization or explore a new place! From hikes, bikes, and paddles, to kite flying, scavenger hunts, and full moon walks, you’re sure to find something you love. 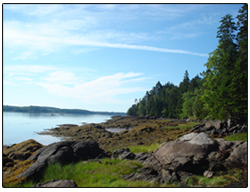 This fall, the Great Maine Outdoor Weekend is featuring Downeast Maine. Consider planning a week-end outdoors! Phew! 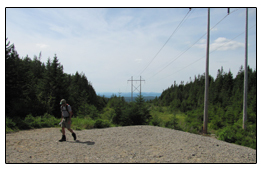 Recreational Trails Program is Secure for Another Year! Thanks to your calls and emails the Recreational Trails Program was successfully reauthorized in the federal transportation reauthorization bill. But in a new twist, as this time states had the choice to opt out of the program entirely. Advocates around AMC’s region continued to make calls and write emails supporting the program and urging states NOT to opt out – with great results. Of all 50 states, only Florida and Kansas opted out. We have shown that recreational trails are essential to our transportation future and to communities around our region—thanks!